It happens once a year but it’s one of those company events which cause anxiety, joy, panic, delight and frustration for everyone. Is it worth the trouble? You bet! Secret Santa is a tradition where I work and this year, Santa came early because a lot of people are going away on holiday, or have already gone. We only have one tree up this year but it still looks very festive in the office. 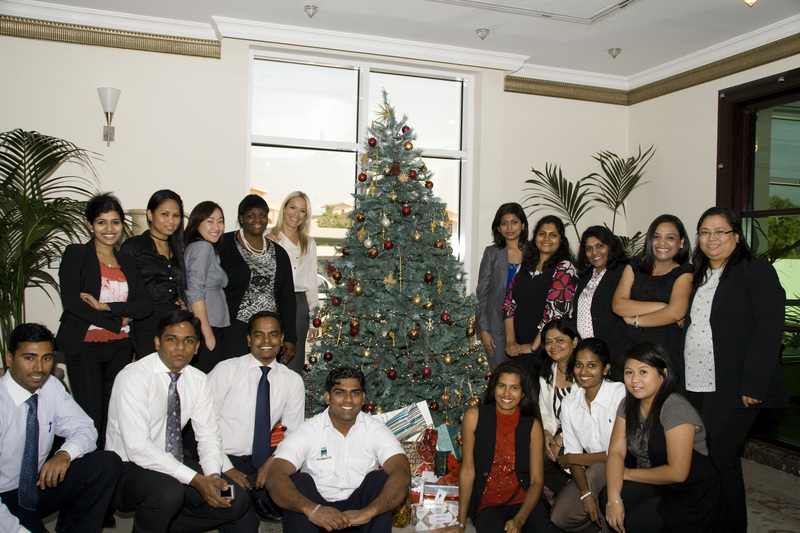 The 2010 Staff Photograph – there’s more of us this year than in the past, and this is only in Dubai. We have more staff members in other areas of the world. Good thing I brought my tripod. 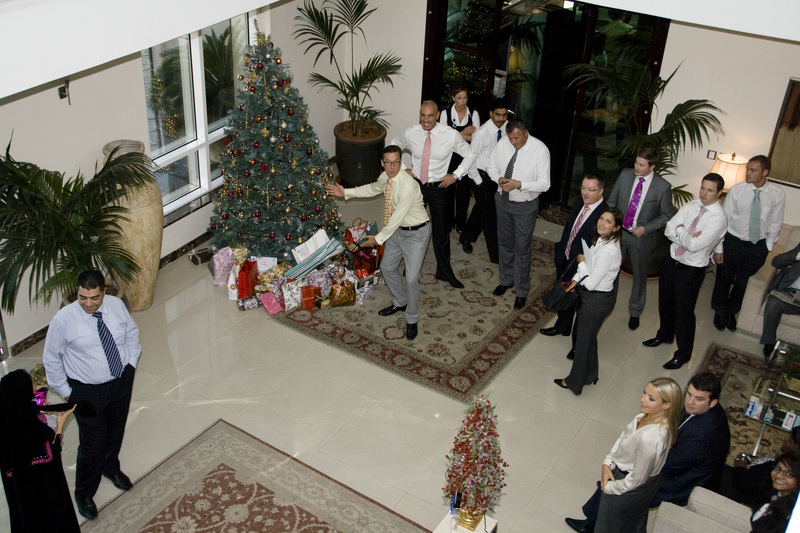 At 11.30 sharp, Santa was by the tree, ready to hand out the presents to their lucky recipients. Only one person is privy to the entire list of who picked who and that person is Jezzel. So it’s not really a Secret Santa, well not for her anyway. 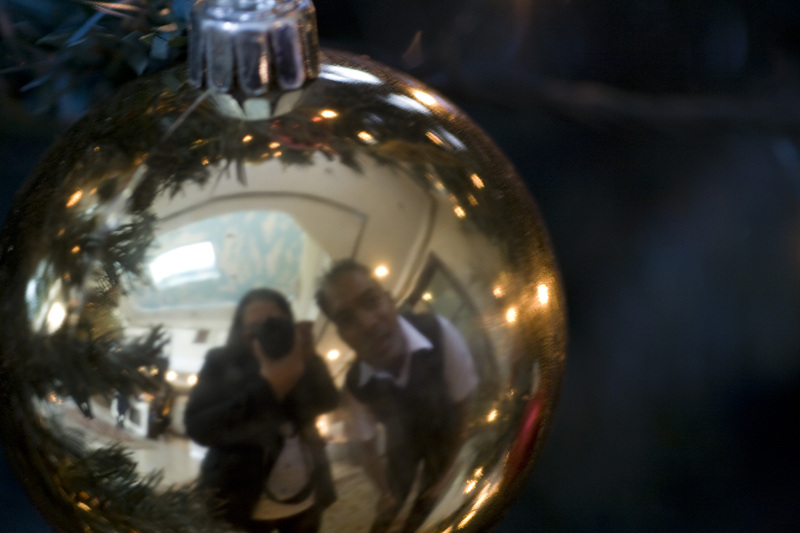 Edz, for some reason, had so much more present than anyone in the room! This was her second haul. It’s a big parcel of smaller items individually wrapped. I kept saying it wasn’t for her, but for her baby boy! Pretty Evelise scored big with a gorgeous pair of earrings! 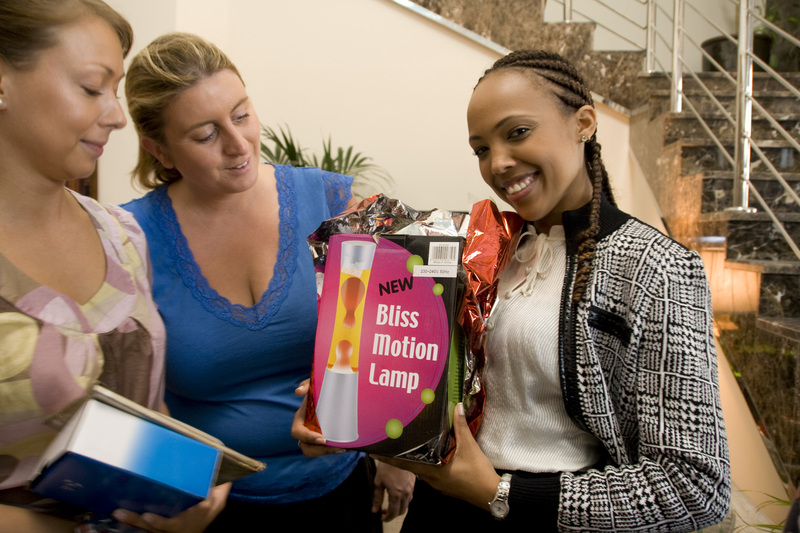 Fiona showing off the lava lamp she got from her Santa. 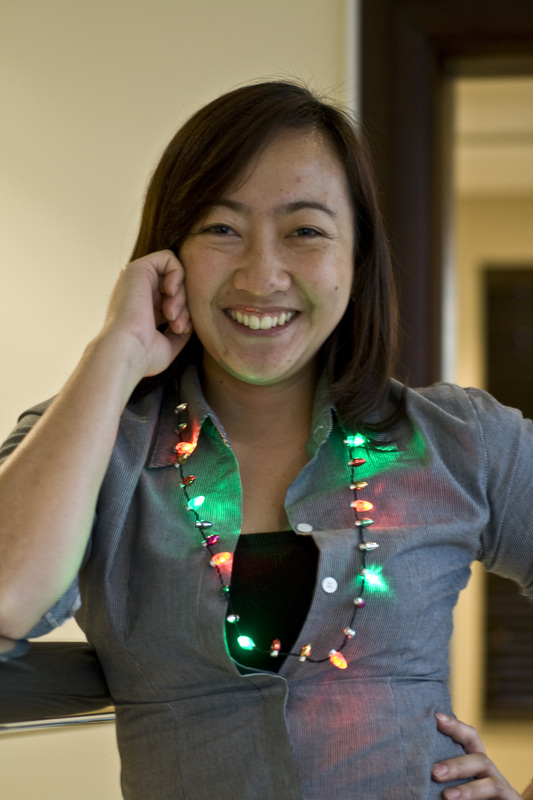 And Jezzel will not need any fairy lights this year – she is her own fairy lights! 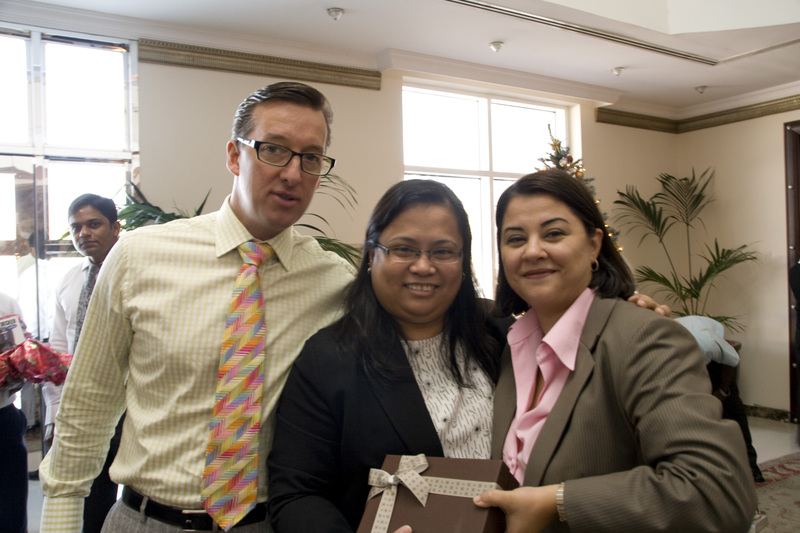 Tim, me and Rania with a gift not from Santa, but from Tim: a box of Patchi chocolates. Yum. This is my Secret Santa gift: a box of 6 Milton Brown bath and shower gels! Can’t wait to try each of them! 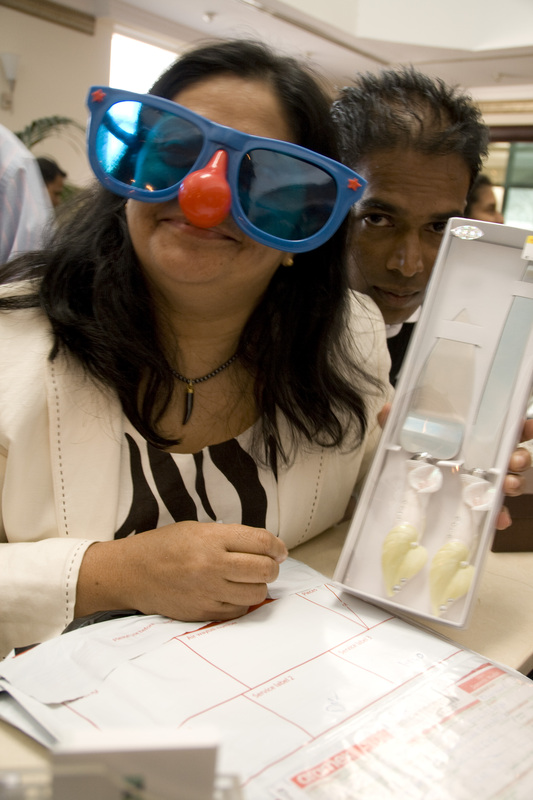 Some people really got into it and had so much fun with the present they gave. Rudolph, I mean Clara with a really big pair of sunglasses and very apt red nose. After all the gifts were opened and the wrappers all crumpled in the bin, eighteen of our top guys plus Tim were whisked off in style in stretch limos straight to the Burj Al Arab for the monthly Lunch Club. 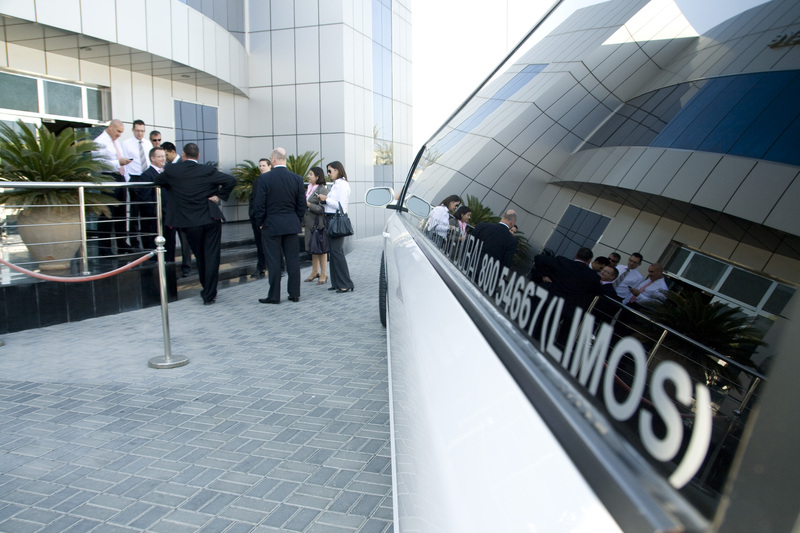 All the Hummer H2s were fully booked for the weekend of the Dubai Film Festival so they had to settle for Porsche Cayenne and BMW X5 stretch limos. Good times and great fun! Monthly lunch club, man that’s really something if you get to eat at the Burj! !